Our new Earthcache has just been published. 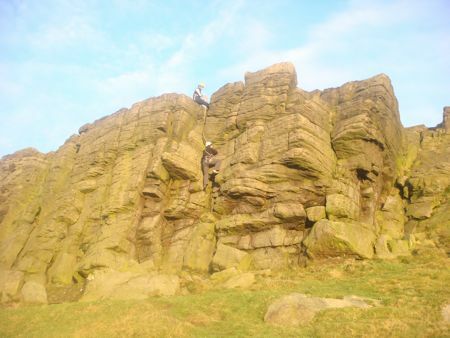 It’s at one of our favourite places in the Peak District – Windgather Rocks, in between Macclesfield and Buxton. Geoaware is stricter on proximity than I am, if a Earthcache is within 528ft of a existing cache. He requires that you obtain permission off the cache owner for the location of yours. We’d even emailed the owner of the Traditional cache nearby as suggested, but have not heard back from them. Luckily it was not a problem and the cache is now live. I wonder who will be FTF as it’s in an area we’ve not set a cache in before.